Banana brand Chiquita has teamed up with Brazilian pop artist Romero Britto to redesign its iconic fruit sticker, inviting him to transform the label into a series of four limited edition artworks in the run-up to the Thanksgiving and Christmas holiday season. According to the marketer, Britto’s work exudes the same fun and playful nature as its own brand. Britto’s own influences combine cubism with pop to create a vibrant, iconic style described by The New York Times as "exuding warmth, optimism and love”. 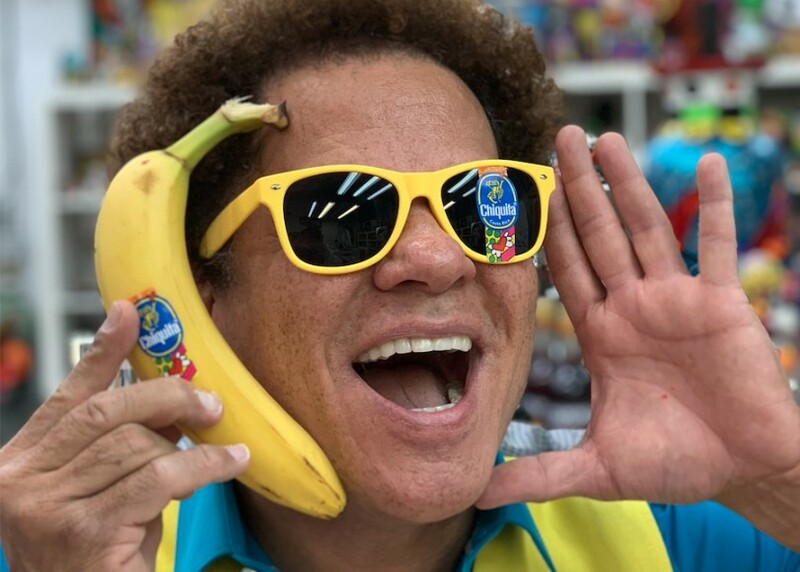 The limited-edition Britto stickers will appear on over 200m Chiquita bananas – both in the US and across a number of European markets – for a four-week period starting on 18 November. A specially designed, Chiquita-branded double-decker bus decorated by the artist will also appear on the streets of London in December. Postell said Chiquita wanted to bring “a little bit of sunshine and happiness” to the Northern Hemisphere’s winter period, inspiring fans to discover its special stickers, collect them and share love.